NOTE: This is an extremely important piece which I’d hoped would be accepted for publication. I submitted it to several publications, none of whom accepted it. Their loss. As I mentioned in yesterday’s post, the only way to give this work its proper audience is to ask you to make up for Google’s search censorship by promoting it yourselves in any way possible. This work deserves to be read widely and I hope you’ll help make that happen. 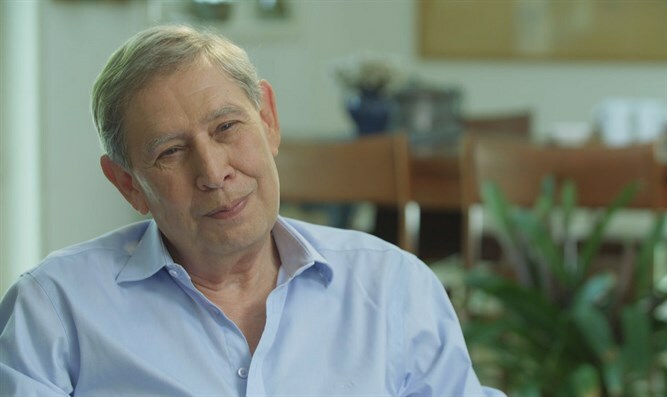 Former Israeli Mossad chief (2011-2015), Tamir Pardo, spoke to Israel’s foremost TV news magazine (the video is only accessible via Israeli IP addresses), Uvda about his thirty years’ working for Israel’s foreign spy service. He was continuing a tradition begun by his predecessor, the late-Meir Dagan, who also did an interview with the TV program after he left his job. In fact, they both did the interviews for the same reason: they were deeply disaffected from their former boss, Prime Minister Benjamin Netanyahu. Since so much of Israeli intelligence work is done covertly and under the pall of military censorship, preventing the public from having any inkling of what is done in its name, such interviews draw back the curtain slightly on an otherwise taboo subject in the Israeli media. As a result, the audience for such events is huge and the public hangs on every word. Pardo didn’t disappoint. He mixed a combination of striking candor with feigned humility to present a picture of an experienced Israeli spy who’s been humiliated by his former boss, Prime Minister Benjamin Netanyahu and driven into a sort of forced exile. It’s one thing for long-time critical observers of the Israeli intelligence apparatus to express such views of the excesses of the Israeli national security state, which I’ve long done; but it’s quite another for someone at its highest levels confirm some of your worst fears. Being a Mossad agent offers a license to criminality on behalf of the Israeli State. In an Israeli context this appears perfectly acceptable. But to the rest of us (or most of the rest of us), this is horrifying. And only an Israeli Mossad chief (or perhaps an FSB chief) can laugh at that sort of statement as Pardo clearly does and see it as charming or endearing. At another point in the interview, Dayan offers Pardo a list of covert operations against Iran which the Mossad is thought to have orchestrated. In looking at the list, his first reaction is: “very nice.” Coming from any other intelligence agency chief this would be considered a ghoulish reply. But coming from an Israeli career-assassin, the response seems totally in character. The TV segment also offers the pro forma protestations of conscience one is accustomed to seeing in these affairs. Dayan earnestly asks Pardo how it feels to have the power of life and death over his victims. The ex-spy replies with due gravity that it’s a heavy burden which he weighed carefully every time he had to make such a decision. Regime change—he uses the analogy of a chisel and crystal, saying the Mossad would seek the precise point of weakness within the glass that would cause it to disintegrate with the correctly placed blow. Though he doesn’t mention the third option, presumably it was the one the Mossad ultimately pursued of assassination, sabotage of military bases, and cyber-attacks on nuclear facilities. Dayan questions the ex-Mossad chief extensively about Israel’s assassination campaign against Iranian scientists, which led to the murders of five senior figures in the nuclear program. The interviewer reveals, for the first time, that there were fifteen names on the target list, indicating that the project could have killed many more such figures had it not been called off once nuclear negotiations commenced in earnest. Pardo also confesses explicitly that the overall program designed to destroy Iran’s nuclear program and deny it the capacity to build a nuclear weapon failed. At that point, Dayan interrupts and asks him: if your plan failed, why did you oppose the prime minister’s plan to attack Iran’s nuclear facilities? Why not try something more aggressive once your more modest goal failed? The Mossadnik replies that it is impossible to prevent a nation from achieving nuclearization where it has a will to do so. Iran, he suggests, is a huge country with many different military and scientific installations scattered throughout. You cannot destroy its nuclear program with a single blow, no matter how large. What becomes clear is that Pardo is a realist, while those holding the reins of power are either fantasists or fanatics who believe they can achieve absolute victory against Israel’s adversaries. Dayan asks Pardo what the consequences of an Israeli attack on Iran would have been. Looking directly into her eyes, he tells her it would’ve meant going to war. That’s why, when Netanyahu ordered Israeli military forces into war readiness employing a code-named “P + 15” (fifteen days to commencement of hostilities), Pardo approached the government’s chief legal advisor and asked whether the prime minister could declare war in such a fashion without a full cabinet debate. Later, there was such an internal debate and the IDF chief of staff joined with Pardo and the Shin Bet chief to oppose the war option. Their views carried the day and Israel didn’t attack. For the first time, Israel’s top spy tells Dayan that had he failed, rather than lead the Mossad into a war against Iran, he would have resigned. Of course, it’s easy for such figures to assume a golden halo after the fact. It’s harder to know what he would’ve done had the situation turned out for the worst. But at least he asserts clearly that he would have refused his boss’ order to undertake what he perceived as an illegal war against Iran. In looking back on that time, Israel’s top spy says that when he heard P+ invoked he understood there were two possible meanings: first, that Israel was truly on the path to war; and second, that declaring the intention of going to war was meant to signal Israel’s resolve to take the Iran issue to its ultimate bloody conclusion. In other words, the exercise conveyed urgency to the Americans and forced them to consider Israel’s interests more fully while negotiating the nuclear deal. It goes without saying that this is a highly dangerous enterprise. Once one side in such a conflict adopts a military posture preparing for war, the other side is obligated to do the same. At that point, the least spark can commence a conflict that neither side may actually want. This is how World War I and a number of other bloody wars commenced. But it does accord with Bibi Netanyahu’s reckless disregard for the conventional restraints most nation adopt to prevent such a catastrophe. Luckily for Israel, there was no such spark and war was averted—that time. However, given that the Israeli leader now has a like-minded reckless U.S president at the helm of U.S. foreign policy, all bets are off as to whether Israel may yet attack Iran either alone, or in tandem with the U.S. and its new Sunni allies, including Saudi Arabia. The most important lesson to learn from the Pardo interview is that Israel’s strategy to deny Iran a nuclear weapon failed. Despite the Mossad’s best efforts, its former director concedes publicly that its enemy’s capabilities were not significantly degraded. That leaves only one other option, the one which has succeeded thus far (until Trump abandoned it), the JCPOA nuclear agreement. The one which is currently most endangered by the reckless disregard of both Netanyahu and Trump. NOTE: Iran has denied any intention to build nuclear weapons, is a signatory of the Non-Proliferation Treaty, and is in compliance with the JCPOA according to the IAEA. The above article largely conveys the views of Tamir Pardo and the Israeli intelligence community, which are often at odds with the international consensus regarding the Iranian efforts. Remarkable inside information. What Israel does chills me to the bone. This info does, however, reveal that a check here or there has kept insanity at bay – at times. Is ‘illegal’ really a meaningful concept when it comes to Israel? I’ve never noticed any respect for legality there at all — at most, ‘law’ is put to good use as a fig leaf. Israel violates the law without compunction whenever it suits her. Perhaps Pardo felt the war was ill-advised. Conceivably, he might have thought it immoral. But ‘illegal’? That would be about as meaningful a concept to an Israeli Jew as snow to a Micronesian.